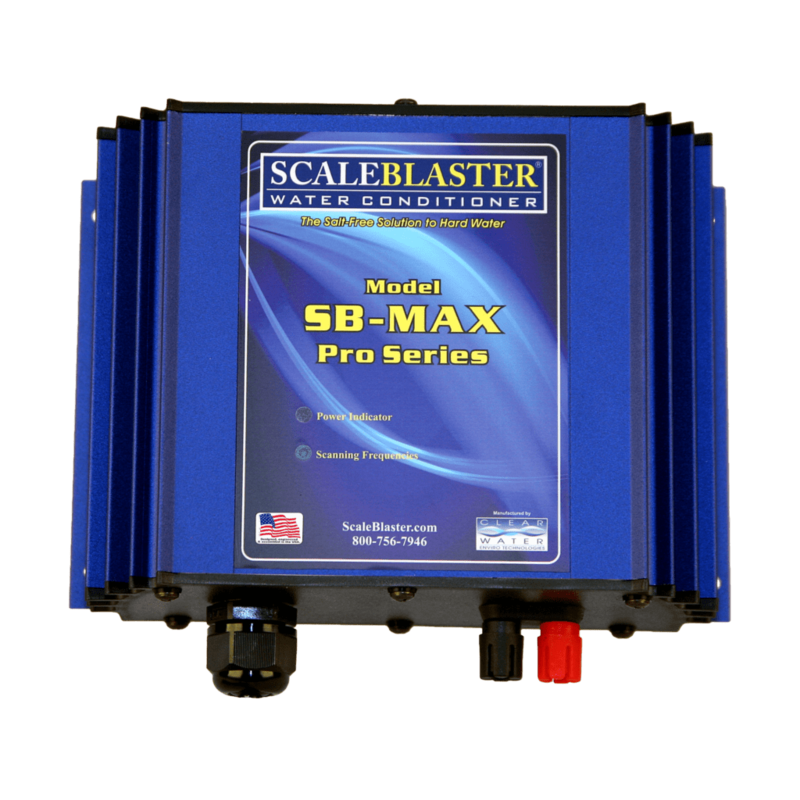 Our new professional grade SB-MAX PRO SERIES is undisputedly the most advanced residential ScaleBlaster model ever developed. This unit delivers extraordinary results in solving hard water issues and limescale buildup and formation. 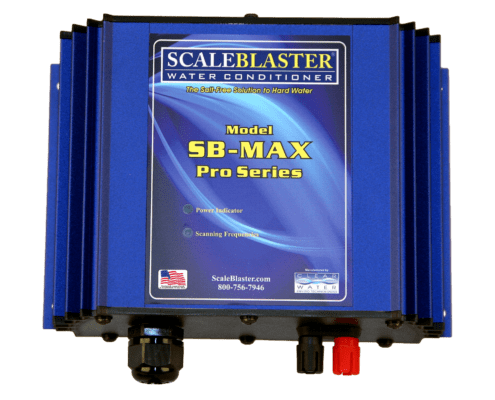 Constructed in a durable, heavy duty aluminum enclosure, this attractive model is designed to handle virtually any size of house or water hardness level. Works on Copper, PVC, CPVC & PEX pipe What about galvanized pipe? Calcium hardness (Ca) levels up to 40 grains per gallon (gpg) or 684 parts per million (ppm) Why this matters?